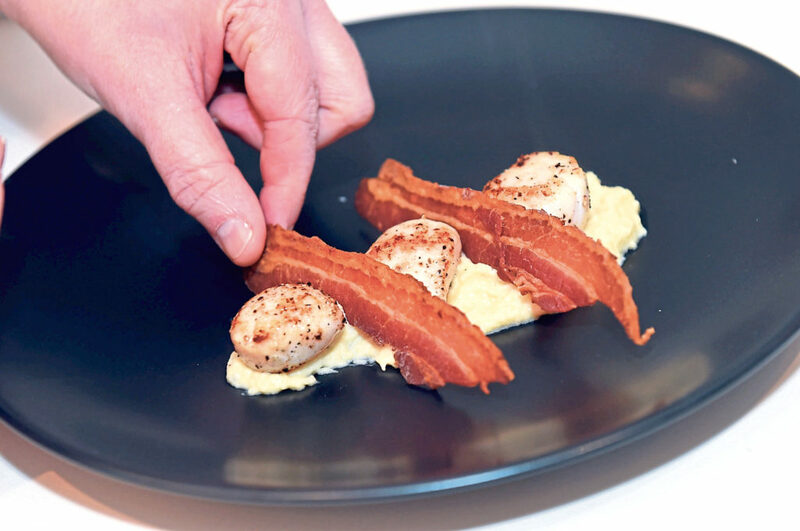 The supper club movement has been growing in popularity recently. 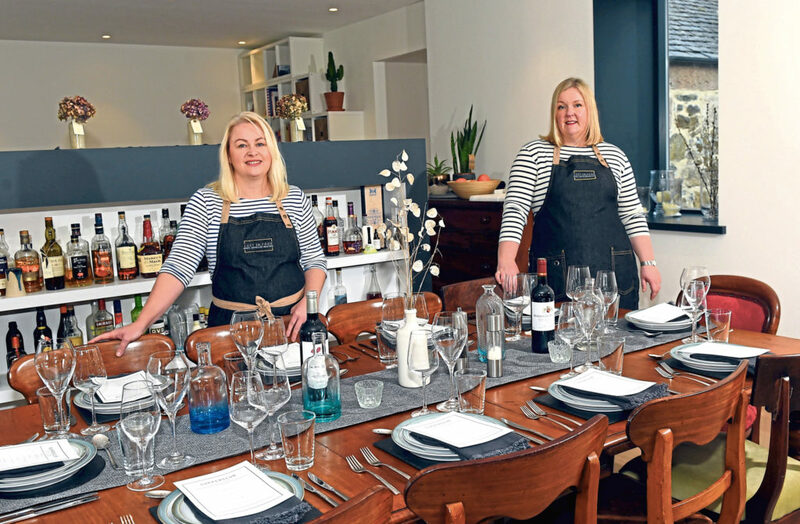 Creating restaurant-standard cooking at home and serving it up to a roomful of guests in your home may sound daunting for some, but for two local ladies it was a challenge they were excited about rising to. On a national level, there are plenty of these clubs popping up but, at a local level, they seem almost non-existent. That was until food bloggers Lost In Food launched their own supper club last November. 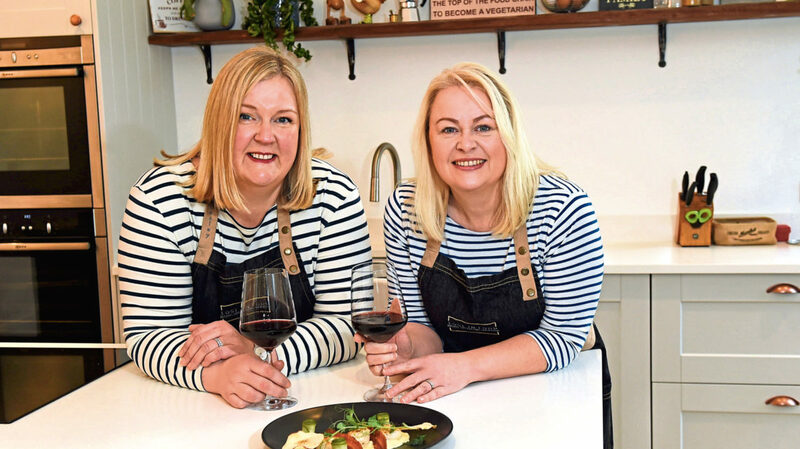 Blogging duo Lesley Garden and Michelle Rolfe, who live in the Inverurie area, have now turned their online hobby into a fully-functioning business, showcasing a wide array of local food and drink producers while cooking up a storm in the kitchen. 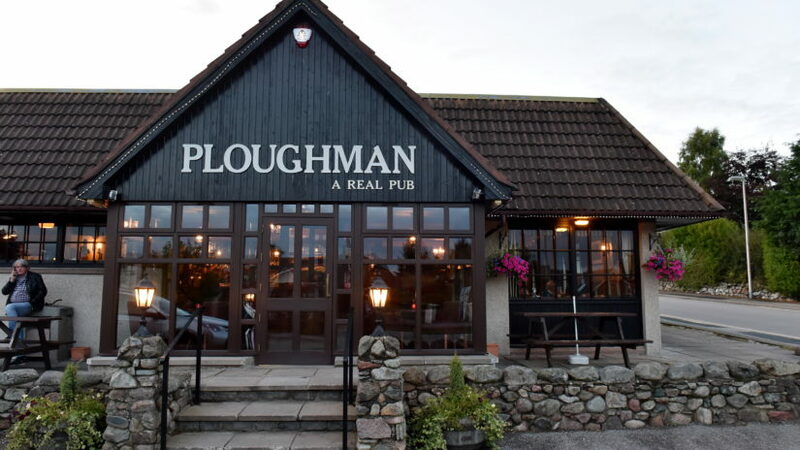 The pair, who met in their children’s school playground, started their blog in May 2014 and have since written numerous recipes for local producers and started their own supper club. 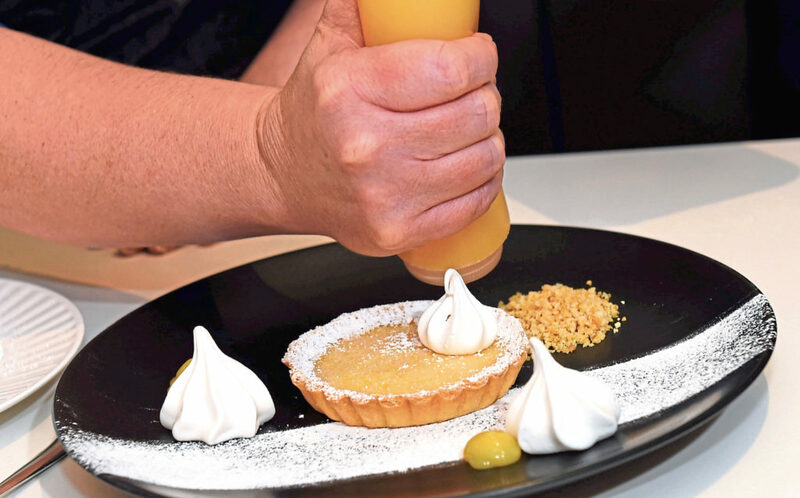 Born in Canada, former accountant Michelle is the sweet-toothed baker of the duo, while Lesley, who has worked and travelled all over the world, complements with her more savoury, spice-loving palate. Operating the supper club from Michelle’s kitchen near Logie House, the events have been selling out like hot cakes. 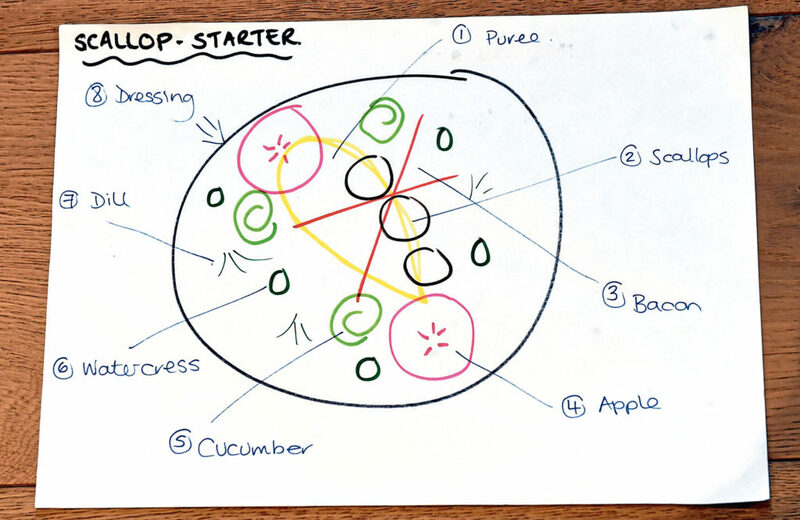 But what, really, is a supper club? And what can we expect if we attend one? 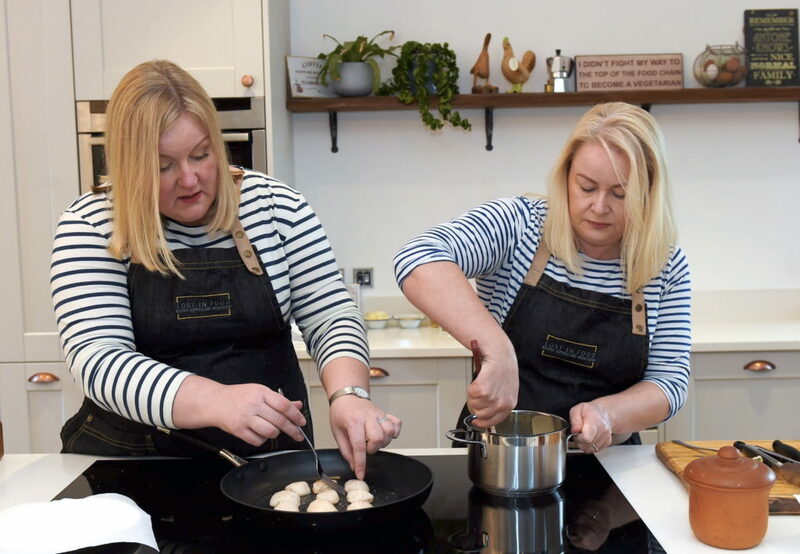 We sat down with the bloggers and stay-at-home mums to chat food, supper clubs etiquette and the must-have ingredients everyone should have stocked in their kitchen cupboards. It sounds like food is very much the centre of everything you guys do. What sparked your interest in food and drink? Michelle: I think I fell in love with food when I moved to Vancouver for work. I worked for a firm that liked to wine and dine a lot and I experienced lots of good food at a young age and at university I was always the feeder. I was always baking and still love to bake. Lesley: Admittedly, I couldn’t cook initially. I left home at 19 and I took myself to a cookery class because I couldn’t stomach what I was making. But I’m largely a self-taught cook and I’ve always loved food and eating out. My job took me all over the world and I embraced every cuisine I came across. My palate has always been very adventurous. And how did you come to meet each other? L: We met in the school playground. We had a mutual friend who said to Michelle she’d just eaten the best scones, which I happened to have made. Michelle was really interested and we kind of knew each other but when she came up to me and said, “I believe you have a recipe I need” I knew we’d be good friends. M: Every day we’d be talking about food and we just started talking and hanging out more and more, sharing our food experiences. So how did you guys go from being friends to starting a blog together? M: We had some really big ideas initially. L: Oh, boy, we did. I am highly creative and when the kids went to school I needed an outlet to just channel that creativity. I have a million ideas a day and the blog is the perfect place for all of that. M: We hid behind the blog for a while and didn’t reveal who we were. We got all the recipes in our head on paper and, if anything, we would have our own online cookbook that we could dip into. 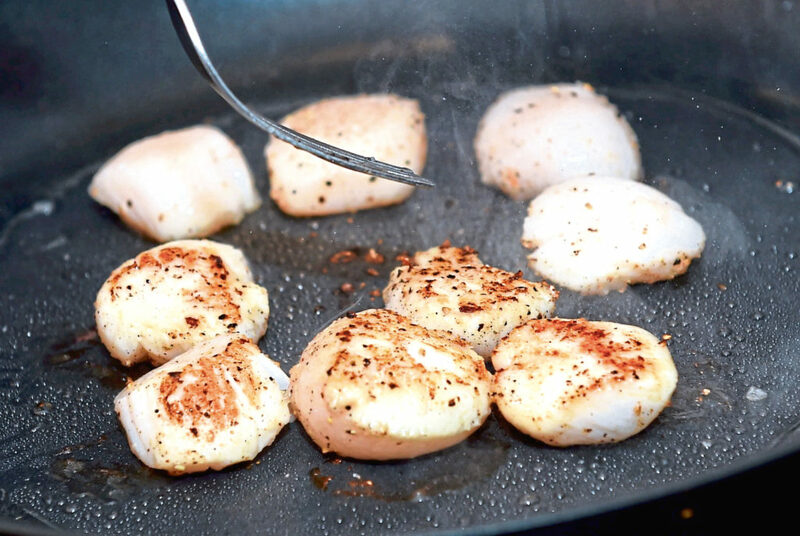 It’s a blog of our favourite recipes and everything we like to cook. That’s how it all really started. We got invited to a few blogging-related events and we realised quite quickly they weren’t for us. We wanted to showcase what we could do and the food we wanted to write about. Your blog started in 2014 and has diversified quite a lot since. But you’ve always been keen to support local – is that right? L: For us, because we’re local, we want to promote local people. They’re small producers and we want to showcase what’s out there. We really only support places that we’d use and buy from ourselves and it needs to be high quality if we’re going to use it. M: For our last supper club we used The Artisan Grower, who grow vegetables and micro-herbs. They’re just outside of Insch, which is six miles from my home, and it was fantastic. We’ve worked with Barra Bronzes, Donald Russell, The Store In Foveran which has sadly closed, and have created recipes for The Principled Pig, Piggery-Smokery and more. You seem to complement each other’s palate, would you agree? M: Lesley’s savoury and I’m sweet. Lesley’s palate is slightly more bitter. I can tell when it’s gone too far for general tastes and she can tell if my desserts are too sweet. So you’ve launched the supper club. Why did you do it and what was the driving force behind it? L: I always wanted a book club and no one was interested. I thought if we made it a cookbook club and got people to make recipes, then that would work. We did something like it for about a year and got together and passed books around. Michelle and I realised that we didn’t want to cook other people’s food any more – we wanted to cook our own. M: We launched our first supper club in November. It was amazing. We cooked for everyone and there was a big focus, on our part, on timings and portion sizes. 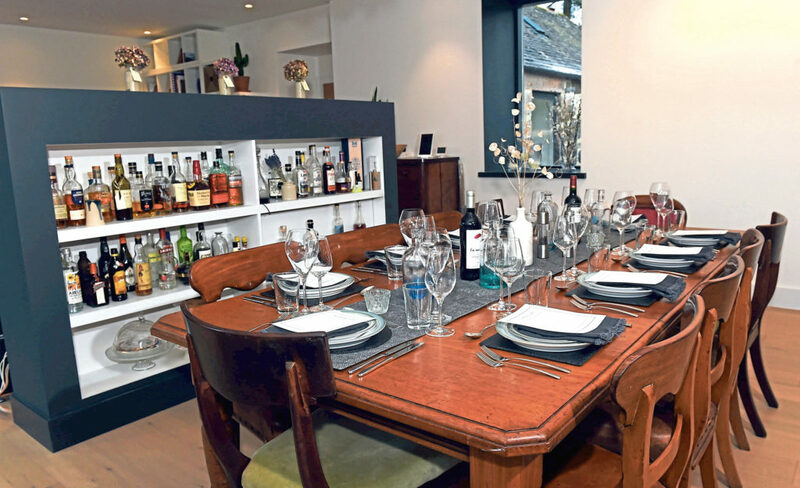 We run the supper clubs in my newly refurbished kitchen and it is the perfect space for it. L: We sold out almost immediately and we ended up with a waiting list, which was insane. That freaked us both out. I’m so glad we decided to just go for it. And how has the supper club been going? M: It’s been brilliant. We’ve had a lot of repeat customers and people bringing new friends, too. There’s no one else really doing what we do. L: We have a clear vision as to what our supper club looks like and we deliver that to the highest standards. A supper club isn’t a restaurant. It’s a small, intimate dining experience. There’s no mass production and we cater for 10 people per event. How does it work? Do people bring their own drinks for example? M: People bring their own wine, or whatever they’d like to drink and take it with them. It’s like a dinner party feel. We cook, plate, serve, clean up and we try serving drinks when we can, but people like to just help themselves and feel at home. L: It’s a really social thing. People are paying for the experience and the food. Everyone gets on really well and it’s a great way to meet new people. 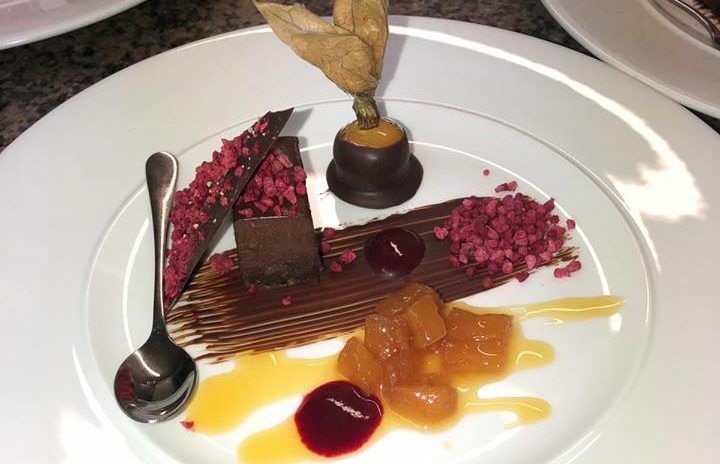 We use PayPal for all of the bookings and it’s £35 for three courses, an amuse bouche and petit fours and coffee and tea at the end – and it’s all made from scratch. For alcoholic drinks, we charge £5 per head to cover corkage. Do you guys grow any produce for your supper club? M: We’ve actually grown a few things. We had artichoke mushrooms which we made into a soup. We want to get to the point where we can get all of our vegetables from our garden. And how do you develop the menus? L: I think about recipes all the time. They spin around in my head for a while and eventually form the actual dish. M: I love the photography side and constantly get new ideas from pictures I’ve seen. 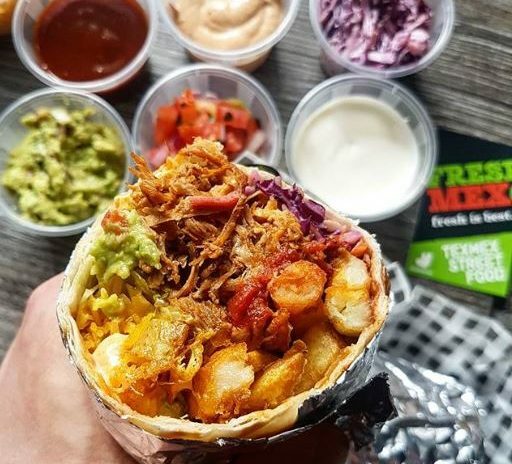 We adapt recipes to go with different things and we’re always thinking about food and different flavours. And how frequent are the events? L: We’re trying to do two per month but at the minimum we’ll run one. We both work around our kids, who are still at school so the holiday times can be a little quieter. We have so much prep to do for the supper club and it just wouldn’t be possible with the kids around. M: We’ve also been asked to do a few private supper clubs where we cook for a group of friends. It’s held here and has the exact same feel as the usual event. We personalise the menus for each one and also decorate the table really nicely so every supper club has a distinct look, feel and menu. You do afternoon tea as well, don’t you? Will you be adding anything else? M: The afternoon teas have worked really well and have been very well received. L: We’re thinking of offering a two-course lunch. We’ve had people asking for us to do it so we thought it might work well. It’s great for those who aren’t available in the evenings. We’ll do a lighter lunch main and a dessert. What’s been the real highlight through this blogging/supper club journey? M: I think it’s watching people just enjoy the food. L: Watching people interact and understand and embrace what we want to do and achieve. Food is a social thing and it’s so good to see people coming together like this. M: Yeah, we’re really enjoying it and just love that people understand it. People come with an expectation and our fear was that they’d want us to be a part of the meal and entertaining and so on, but that’s not what it is and everyone loves what we’re doing. They come, have a good time and just enjoy other people’s company. As soon as you put the plates of food down, you experience that lull and can only hear the music, that’s when you know everyone is really happy. So in your opinion, tell us, what should people always have in their kitchen cupboards? M: A sharp knife, for sure. You also need your basics for baking, like flour and sugar. I always think you can whip up a meal if you’ve got vegetables, pulses and spices. L: And chorizo sausage and tinned tomatoes, too. Oh, and onion and garlic! The next supper clubs will take place on Friday March 8, Friday March 22 and Friday May 10. Afternoon tea will take place on Friday May 17. To secure a place email: hello@lostinfood.co.uk. For more information visit www.lostinfood.co.uk.